This exquisite Hunterston solid silver brooch is the perfect addition for both casual wear and outfits for special occasions, such as weddings. The brooch jewellery is a replica of the original (found in the 1830’s) and displays the same filigree detail as the original, with the centre cross representing the risen Christ. It also has a simple brooch pin, which will fit easily onto a shirt or jacket. This antique brooch is presented in a luxurious jewellery gift box in blue suede, making it the perfect gift for a special person in your life. 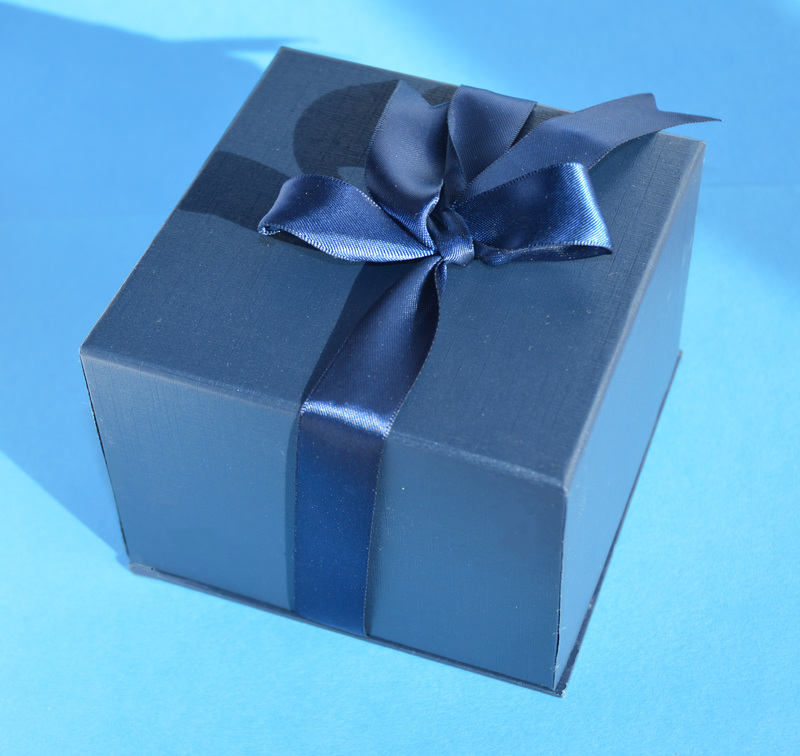 The gift box for jewellery also has an outer box with a bow to make it even more exceptional. Spoil yourself or treat a loved one with this special piece of jewellery. During the autumn of 1826, in the ancient woodland of Hawking Crag on the Hunterston estate, two labourers happened upon an exceptional brooch that had been missing for hundreds of years. The spot was close to where the battle of Largs had taken place in 1263, leading historians to speculate that the brooch was lost during that conflict. 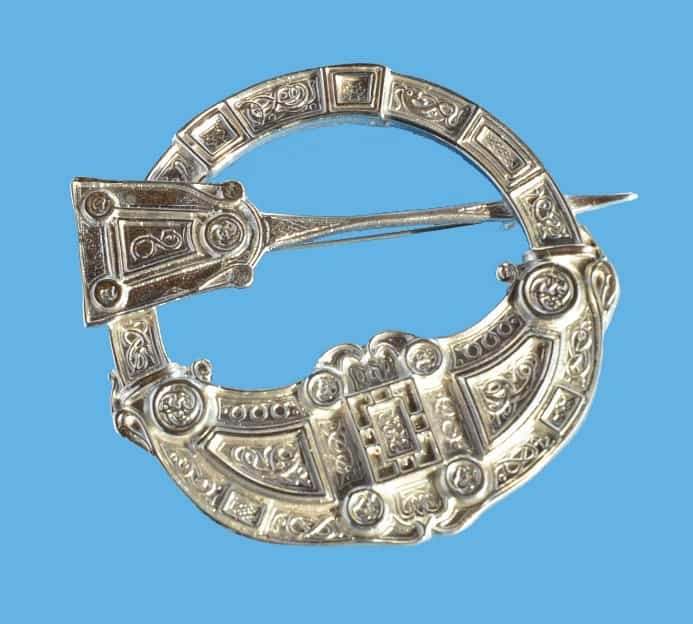 The style of this Celtic brooch can be dated to about AD 700, at a time that is considered to have been the golden age of this type of work. It is the feat of a highly accomplished jeweller whose mastery of Scottish-Irish and Anglo-Saxon techniques can be seen in his creation. The Hunterston brooch is unusually large in comparison to other Celtic brooches that have survived this era. It is rich in symbolism, featuring filigree depictions of interlacing animals typically associated with Celtic mythology. In its central panel is a cross that can be understood to symbolise the resurrection of Christ, making it one of the earliest pieces of art in Scotland to wed Christian imagery to Celtic culture. Although the original owner remains a mystery, everything about this ornament, from its exquisite detail to its precious amber insets, suggests it was created for a person of high status and great importance. 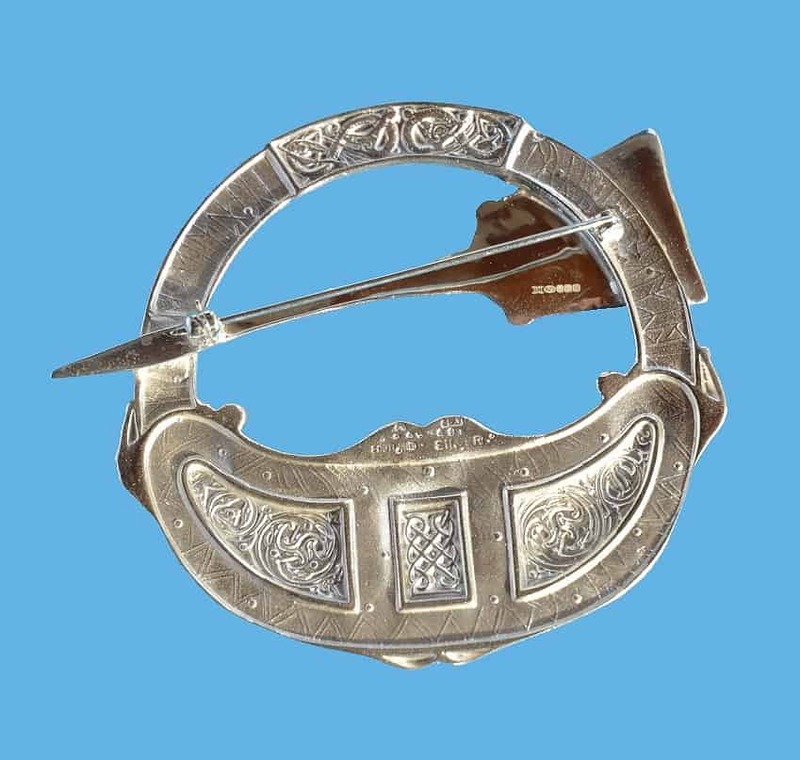 During a Viking raid that took place 200 years after its creation, the brooch fell into the hands of two Vikings, whose inscriptions in Scandinavian runes, ‘Melbridga owns this brooch Lawman in Lar’ and ‘Olfriti owns this brooch’, are still visible to this day. The Hunterston brooch is considered to be one of the most iconic and exceptional of its kind to survive. It is a piece of art combining different styles and demonstrating the emergence of a uniquely Celtic style.